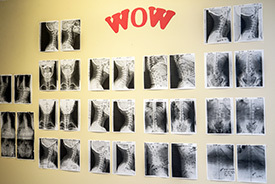 The WOW board shows before and after X-rays of some of our patients at Back and Neck Specialists. Our office focuses on acute care, corrective care and maintenance chiropractic care, so that you can ensure your continued health. 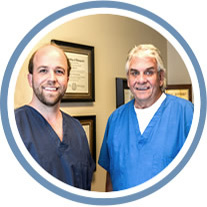 Most of our patients find that after they are out of pain, their overall health is better, therefore they choose to continue regular treatments. Extremity Pain: Whether you are experiencing knee, ankle, elbow, wrist or shoulder pain, Dr. Cole can help. We will examine all the surrounding areas to make sure we pinpoint the cause of your problem. Corrective Care designed to address the problems causing the pain and keep it from happening again. Are you wondering if chiropractic care might be what you need to start feeling great again? Contact our office today to find out!